Another accessible wak from the hostel is High Cup Nick in the Northern Pennines. You can drive to Dufton, which is approximately a 25-30 minute journey from the hostel, and take the challenege from there. The Wainwright's Coast to Coast is one of the world’s great walks and it passes directly Kirkby Stephen Hostel! The Wainwright's Coast to Coast Walk, named after Alfred Wainwright, passes through the town of Kirkby Stephen and past our doorstep and hence we make a perfect overstop stop as you make your way your way from Shap to Kirkby Stephen. The Wainwright's Coast to Coast gives the perfect snapshot of England and some of the most picturesque villages, lakes, mountains and moors. Wainwright's Coast to Coast crosses the Lake District, Yorkshire Dales and Yorkshire Moors National Parks between two coasts and 191 miles of footpath together to create the ultimate long distance walk in England. It may not be the longest or toughest walk but it more than makes up for it in quality. Nurture Eden provides a set of walking and cycling trails to encourage you to explore the hidden gems around Kirkby Stephen, Eden Valley and beyond! 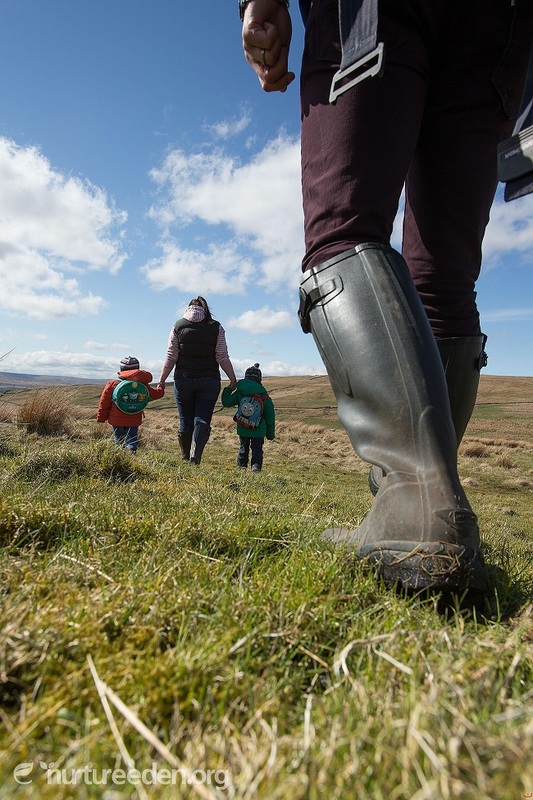 Every weekend there are free guided walks for the general public in partnership with Friends of Dales Rail. The walks are of various lengths and degrees of difficulty. All of the walks will have an experienced leader and backup. They are all within close distance of Kirkby Stephen Hostel and they are designed to link up with local train stations that fall on the Leeds-Settle-Carlisle, Leeds-Morecambe train services. Please choose a level of walk with which you are comfortable. If you are new to walking we recommend you choose an easy grade until you discover your level of fitness and the suitability of your equipment. If in doubt please speak to the leader at the start of the walk. Please check the News and Events page for upcoming walks and other activities around Kirkby Stephen.